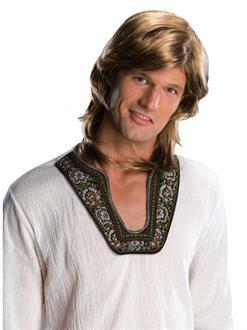 This funky ‘70s Guy Wig - Blonde - Adult Costume Accessory is super groovy, baby. This shaggy, layered blonde wig is the perfect way to accentuate your disco duds. Pair it with platform shoes and a funky medallion to create your own DIY ensemble. Shop for adult costumes and accessories online now.